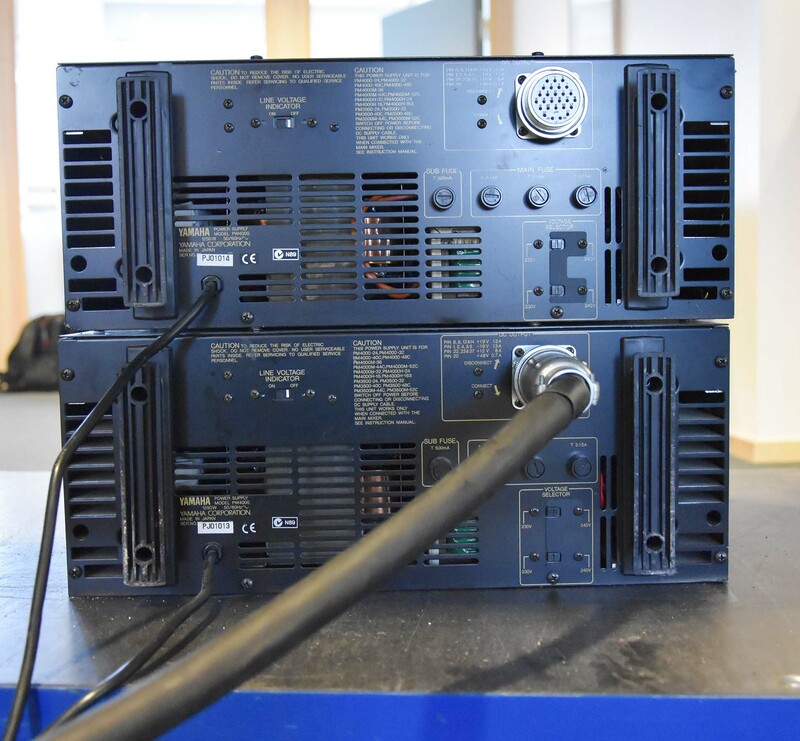 From fixed installation – no flight case. The input channels, auxiliary returns and output buss On/Off functions are electronically controlled via a central CPU. 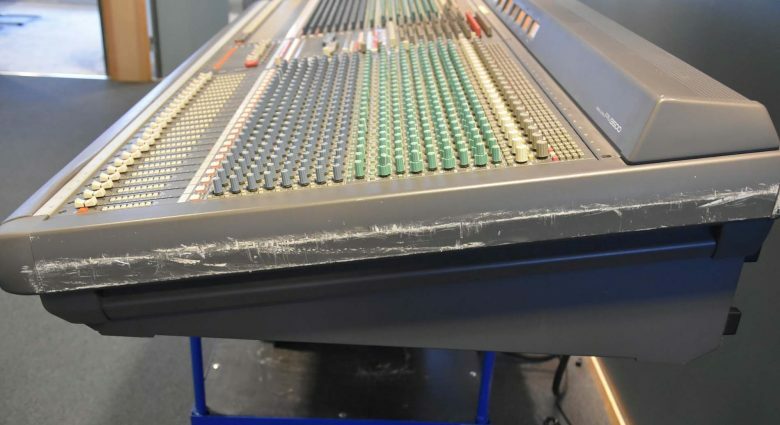 The consoles allow up to 128 patches or “scenes” to be stored in memory and recalled via a 10-key pad on the front panel or an external MIDI device. In addition to complete scene changes, external MIDI control can be used to individually turn input and output channels on or off as required. This means that a MIDI Sequencer or music computer can be used for total mute automation. A new 12 x 4ST +4MN matrix configuration with four of the eight matrices offering stereo output. So, sources can be mixed and panned into a stereo output for the first four matrices and into mono output on the other four. 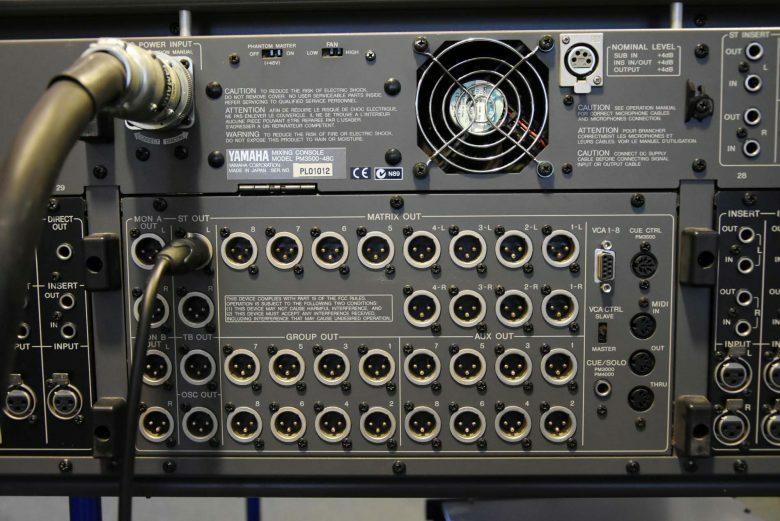 Matrix channels accept a direct stereo sub-input from a rear panel connector. 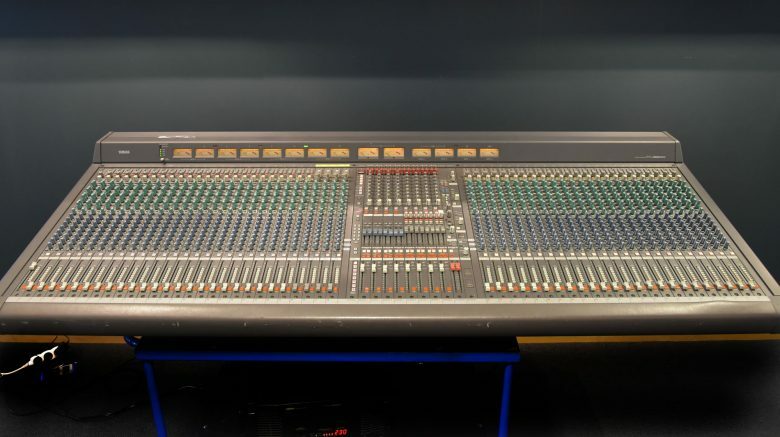 Eight VCA Group switches next to each channel fader enable that channel to be assigned to and controlled by one or more of the VCA Master Faders. 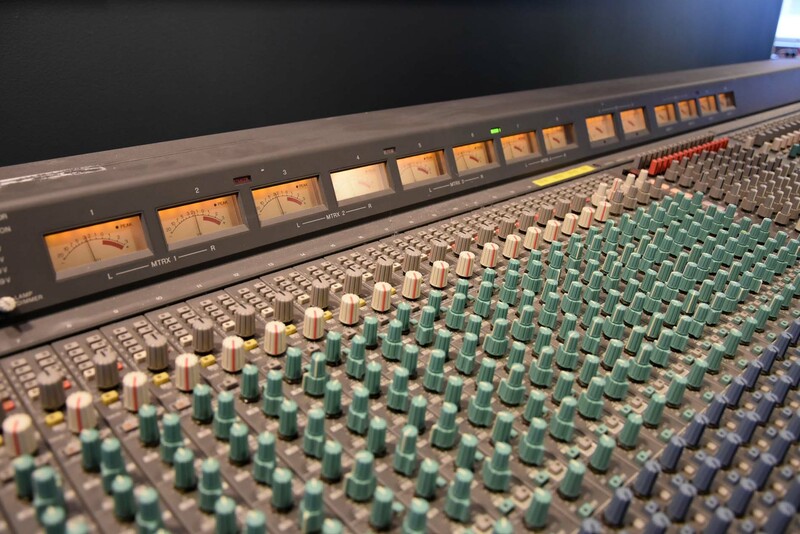 The VCA Master Fader affects the input channel directly and also alters that channel’s post-fader output to any of the eight auxiliary mixing busses, something not possible with the conventional Group Master-Faders. 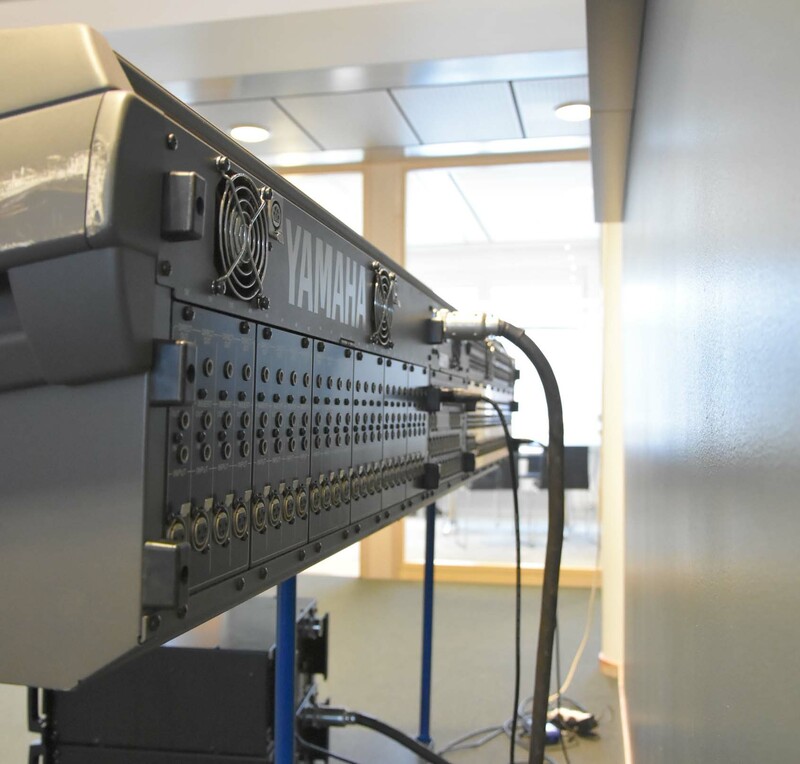 The PM3500 offers extensive Cue/Solo capabilities. 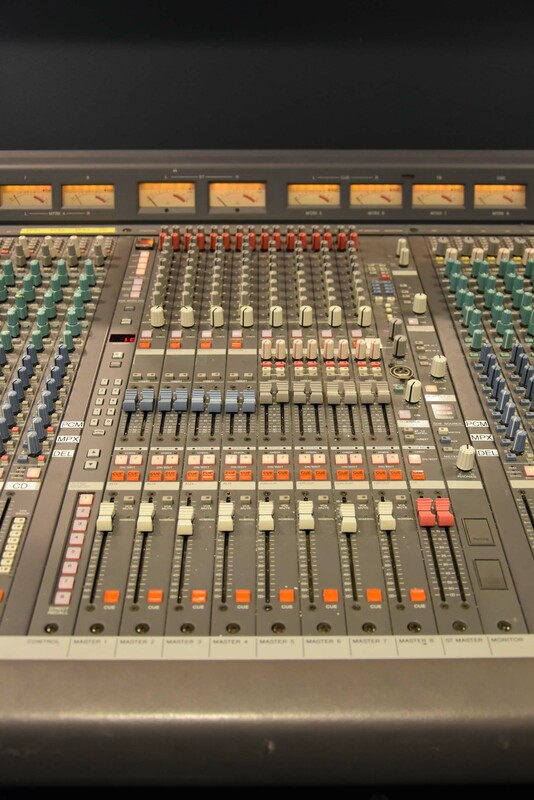 First, there are two cue modes: Last Cue and Mix Cue. Last Cue offers several important functions: (1) it allows you to scroll through cues without having to turn each channel on and then off, (2) it eliminates the frantic search for the previous cue because it automatically drops it when a new one is selected, and (3) a double tap on Last Cue button clears the entire board of all cues. 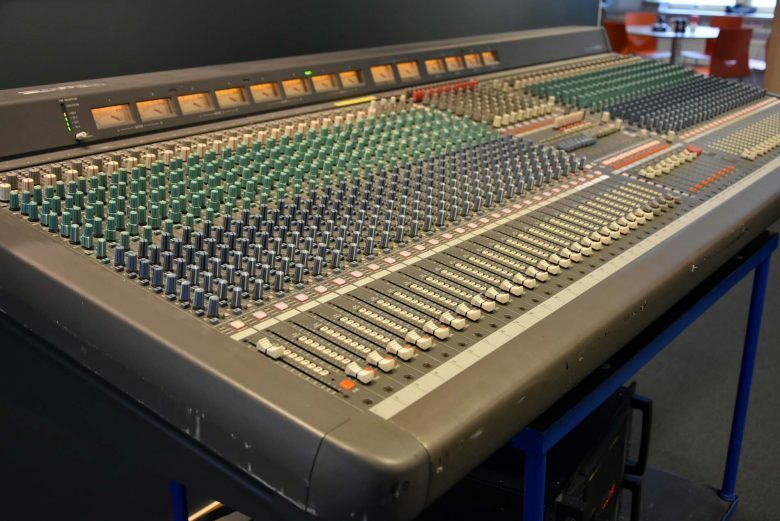 In contrast, Mix Cue allows you to build, or pile, a cue onto any existing one(s) so you can completely monitor large selections of channels or VCA groups. 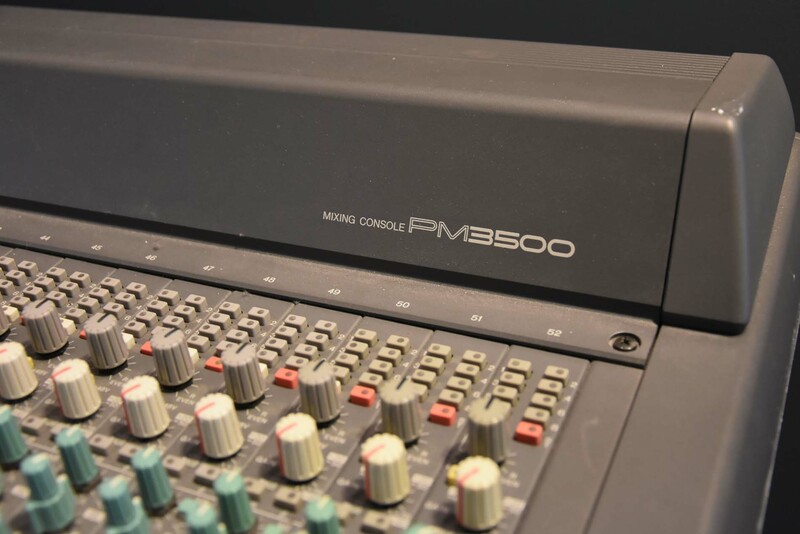 The PM3500 includes powerful cueing options beyond individual channels: VCA Group Cue, Master Cue Prefade listen (PFL) and Master Solo Selection. VCA Group Cue isolates an entire VCA Group for scrutiny either pre or post pan. Master Cue PFL lets the user switch between pre and after fader listening of the master section. And Master Solo Section allows you to selectively solo auxiliary, matrix or group sections in order to hear only what you need to hear. To keep the switch between cues at different sound levels from destroying your hearing, the PM3500 offers Cue PFL trim/Cue VCA trim. Adjust the trim levels of VCA groups and the Master Group to even out — or separate — the sound for the most comfortable levels. 4-band parametric EQ- This features high/low shelving, switchable inserts, 8 VCA control assigns and direct outs. Unique 12 x 4 stereo x 4 mono Mix Matrix- The matrix features 4 stereo and 4 mono outputs. 128 digitally controlled memories- The memories, which contain mute scenes, can be instantly recalled. PFL and VCA cue trims- The trims allow optimum level setting. 4 Stereo input modules come standard- More modules are optional. Continuously variable 50 dB gain trim- It also comes with a switchable 30 dB pad which lets inputs handle any signal. 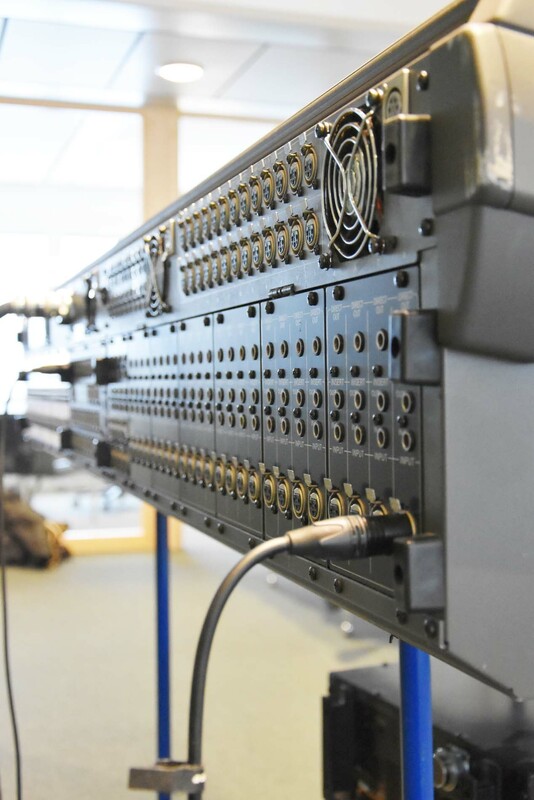 8 mono auxiliary mixing busses- The busses are all pre/post selectable via external switches. 8 primary mix busses (groups)- In addition to the mix busses, a stereo buss can be “direct assigned” from inputs. 8 VCA groups- The VCA groups are equipped with mute and cue capability which are controlled by full-length group faders. 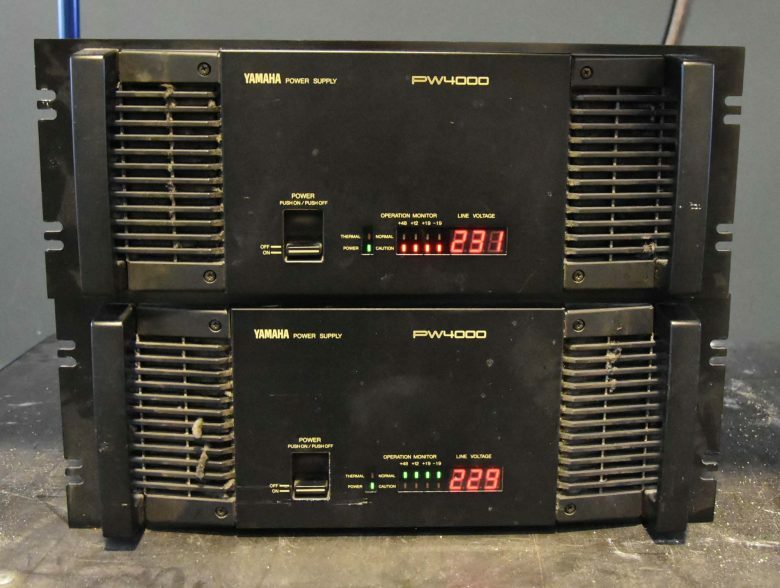 Large dedicated stereo VU meters- The VU meters plus 12 switchable VU meters display output level.